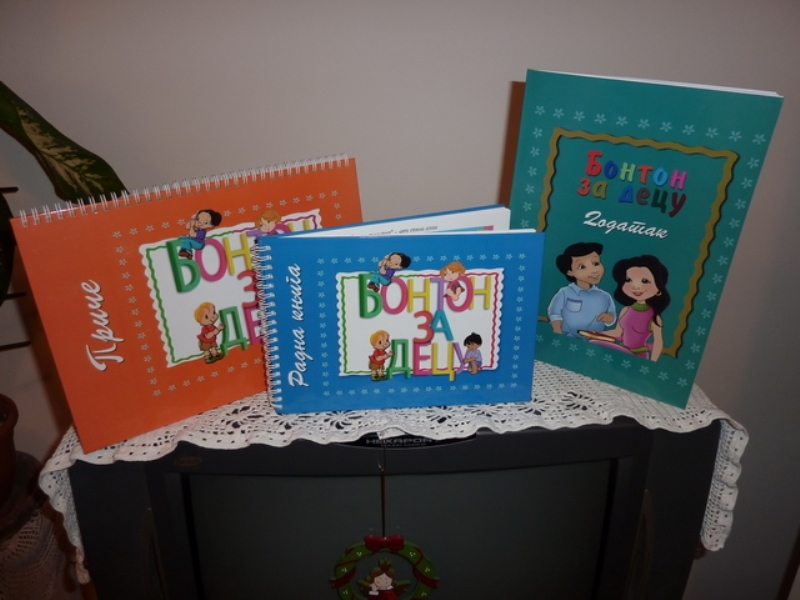 Having overcome several hurdles with the layout and design of the 3 books that make up our Bonton za Decu (Manners for Children) character-building curriculum, we were thankful when our chosen printer was able to give us a date that was compatible with our planned itinerary to go to Kosovo to pick up the first batch of books. He had been extremely busy with November being the Christmas rush, so even though he was only able to have 100 sets of books bound in time for our departure, we felt this amount would be sufficient for our first distribution push. It was critical that we leave for Kosovo within the designated time frame, before the winter snows set in, otherwise we would have had to wait until spring to do any distribution there. The political situation in Kosovo had not been good during the previous months, with increased tensions between the majority Albanians and the minority Serbs making daily headlines. Border crossings from Serbia into Kosovo had been blocked and roads barricaded. Thankfully just around the time the printing was going to be delivered, progress in defusing the tension in Kosovo was being made. We monitored the news until we felt confident that it was safe for us to not only travel to Kosovo, but that we would also be able to drive our Serbian registered car on the trip. We did not at all relish the thought of doing the trip by public transport, although we were willing if it had come to that. The Kosovo Serb population feels very neglected by the international community and also the Serbian government in Belgrade. Because of that, they are extremely thankful for any sort of aid that is brought to them. During our previous project where we distributed our “Prvi Korak” (First Step) curriculum, it was incredible to see the thankfulness of the teachers and directors of the schools and kindergartens that we visited. During that first distribution, we had told everyone that hopefully there would be a second edition coming in the future. And so it was that we were happy to be able to keep our promise and bring them the greatly improved Bonton za Decu curriculum. Although our time was limited, we were able to visit all the schools and kindergartens that were on our list, as well as a care center for Roma (gypsy) children, and a new day-care center for needy children that had been built since the time of our last visit. This new center was being run by a Christian man who was extremely happy for our visit and to have such good quality character-building material graciously donated to the children in his care. For this project we are not giving the curriculum to individual children (except in rare cases), but are giving them out to the teachers by class. That way more children will be reached with the material, as the average class has up to 30 children. The target group is from KG – 2nd Grade. Giving the books out in this way takes longer, but we are encouraged by the reception and enthusiasm of the teachers, directors, and care-givers met thus far. All have received introductory training and have agreed to follow the teacher’s manual (included in the set), and to keep track of the children’s progress as they work through the 18 different themes. We are looking forward to our next visit to Kosovo so we can follow up on these schools and kindergartens to get feed-back and reactions. On our return drive we passed through the southern Serbian city of Leskovac, which is quite poor and has a very large Roma population. Our goal was to visit one of the two Roma churches there. We had been referred to this church by one of our foreign friends who is a missionary to the Roma in another city. She had given us the name of the pastor, and we were able to meet with him and several members of his staff. We were very well received, and it does not need to be said how thankful they were for our visit and for the donated books that we left with them for their Sunday school classes! After a long Christmas/New Year’s break (the holiday season stretches out an extra two weeks in Serbia, since the Orthodox celebrate Christmas and New Year’s on different dates than the West), we began distributing the books in some of the villages in the Vojvodina area of northern Serbia as the weather permitted. January was fairly mild, so we were able to be out quite a lot, but February has been bitterly cold with a lot of snow. Schools and factories have actually been close by government decree in order to channel subsidized electricity to poor households that have been suffering due to the extreme weather. So February has seen book distribution put on hold for a few weeks, but we hope that March will again bring mild temperatures and that we can resume our project and continue getting out the Bonton za Decu sets.